This FAQs section discusses the variety of applications for all types of rugs. Find out more below. What are the main causes of carpet dirt? Most carpet dirt comes from dust and other particles inside the house and those introduced by the soles that walk on the carpets. These include hair strands, pet fur, dust from human skin, dust from the environment, and soil. Additionally, according to experts in Carpet Cleaning Novato, common carpet dirt and stains are attributed to spilled food and drinks. If you want to keep your carpets clean for a long time, you should consider finding ways to prevent this dirt sources from touching your carpets. How do I make my carpet drying time shorter? 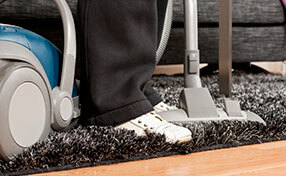 There are many things you can do to make carpet drying time shorter. For one, you can use fans to make air circulate better and faster. Windows and doors should also be opened to make water evaporate more quickly. Also, you can do carpet cleaning in a section-by-section manner. You can finish cleaning one part of the house first before moving to another. This way, one section can already start drying up before you finish or even start with other areas of the house. The secret is reacting immediately when you spot moisture or serious water damage on carpets. It would be easier if you have rugs because they can be carried outside to dry better. If you have glued carpets on the floor, you will need to open the windows for odor removal and use any means possible – hair dryers, dehumidifiers and fans – to dry them completely. Mildew inspection will still be needed according to Carpet Cleaning Novato. Can my carpet be salvaged? 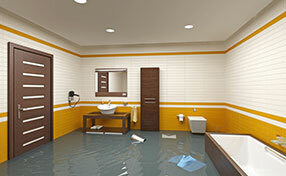 If the source of water is clean, and has not been wet for over 24 hours, it can be salvaged. However, there is an exception to the rule: if there is permanent staining, such as wood furniture sitting on the carpet, your carpet will be disposed. How can a dirty carpet be bad for people with allergies and asthma? The fibers of the carpet capture dust particles and pollen. These are powerful allergens. Over time, some of them are released into the air and make the symptoms of asthma and allergies worse. That is why the professionals of Carpet Cleaning in Novato stress the importance of weekly vacuuming and semiannual or more frequent deep cleaning. Yes, we use the most modern professional products and conditions that will provide immediate relief to any leather covering. When we remove soils from leather, we use a cleaner especially formulated to help it keep its original color and resilient features. We can also clean the leather in your car or boat to help it also remain beautiful and last longer.